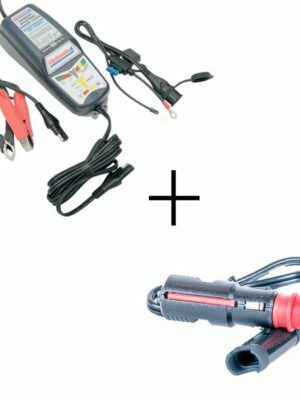 OptiMate 5 with 2.8Amps is the ideal all in one tool to care for your cruiser motorcycle, boat or car battery. 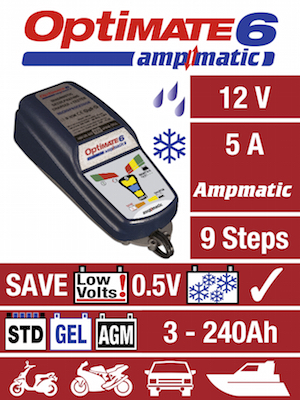 In a weatherproof sealed enclosure that includes wallmounts, the OptiMate 5will diagnose, recover, charge, test and maintain your batteries automatically. 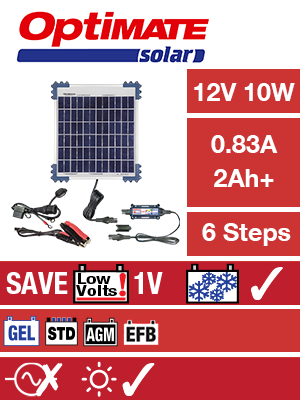 Recommended for STD (with removable filler caps), sealed AGM (absorbed glass mat) & sealed GEL 12V lead-acid batteries from 8Ah to 120Ah, although it can also maintain larger batteries (it will just take longer to charge). 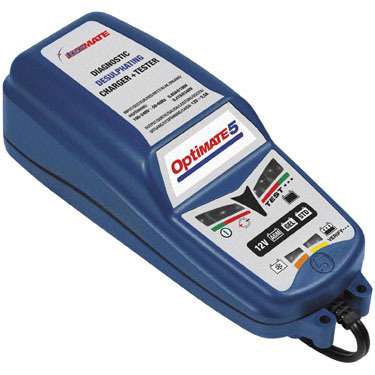 SKU: TM-222 Category: Battery Chargers Brands: Optimate. OptiMate™ 5 voltmatic, the ideal tool with automatic selection for 6V – 12V battery care at home. 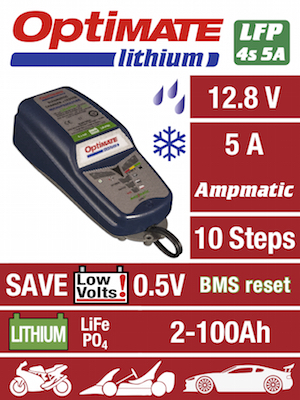 First charger with multi-stage desulphation recovery for 6V batteries. 6V program, but will during the program warn the user (flashing red TEST/ ERROR led) the batery shoud be verified. 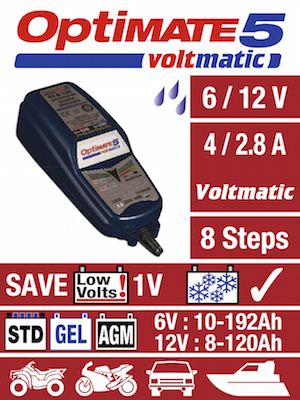 very low, for a 6V battery the program automatically proceeds to the 3 stage desulphation program. completed the program once again reverts to VOLTMATIC mode. unitl the the battery recovers and accepts charge. reached 7,15V (for 6V batteries) / 14,3V (for 12V batteries) charging is completed during the next step. indicative of a battery that has reached full charge. periods repeat hourly until the OptiMate 5 is disconnected, during which battery status indication is updated. battery will stay cool and safe. And optimally charged.